Rookie quarterbacks face a few bumps in the road during their first season. Bucs QB Mike Glennon just experienced one. The Bucs were threatening to score in the first half against Carolina on Sunday, but an ugly turnover prevented that from happening. Glennon rolled out to his left and while he turned his shoulders to make the throw, the ball slipped out of his hand. 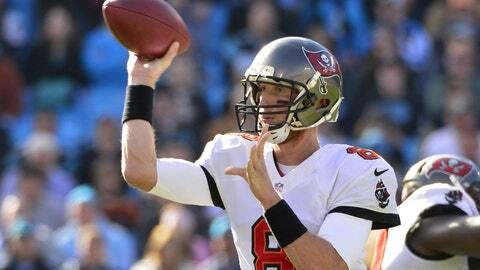 The Panthers will get credit for the turnover, but this one is on Glennon.